gallery photo posted by lizardmania Welcome to kingsnake.com's Iguana Classifieds. This section is for posting wanted and for sale advertisements for any and all species, color phases and morphs of Iguanas. If you are looking for, or want to post ads for, other reptiles and amphibians and supplies please review our classified index for the appropriate category. The Green Iguana or Common Iguana (Iguana iguana) is native to Central and South America and ranges over a large geographic area, from southern Brazil and Paraguay to as far north as Mexico and the Caribbean Islands. 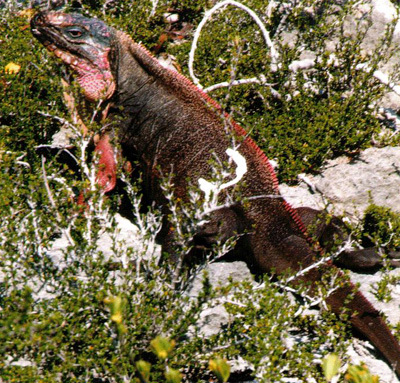 Rock Iguanas of the genus Cyclura occur on islands in the West Indies, with a single species or subspecies restricted to individual islands. Alhough many different Iguanas are available as captives, they can be demanding to care for properly. For questions on keeping Iguanas please check out the Cyclura & Ctenosaura Forum and the Iguana Forum, or to look at photos check out the Iguana Photo Gallery.